Here is another classic eBook on prayer by E. M. Bounds. Regarding the author, Homer W. Hodge wrote, "There is no man that has lived since the days of the apostles that has surpassed him in the depths of his marvelous research into the life of prayer." Of course, he is not talking about research the way we use the word today: Bounds' research was to spend hours on his knees in fellowship with the Lord Jesus Christ. 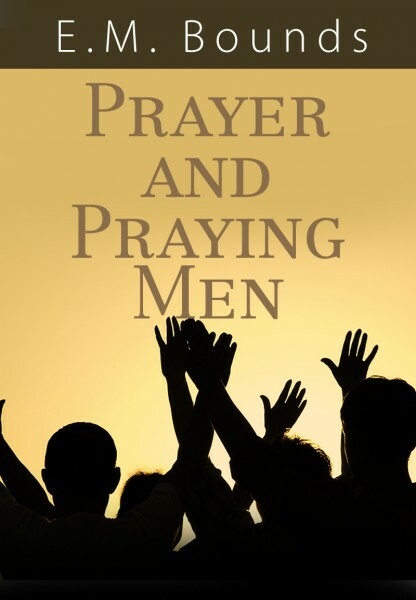 In Prayer and Praying Men, the author takes us through the Bible to learn the practical lessons of prayer from the saints of the Old and New Testaments. Chapters highlight the life of prayer as we see it in Abraham, Moses, Elijah, Hezekiah, Ezra, Nehemiah, Samuel, Daniel, and Paul, with five chapters devoted to Paul alone. Using The Bible Study App on a computer or mobile App, readers will enjoy being able to study these biblical examples via verse hyperlinks and a Scripture reference index. One who knew this author personally testified that everything Bounds wrote was for the salvation of his readers. The weight, the gravity, the conviction with which E. M. Bounds speaks on prayer make this and all his books a treasure for those who want to know God as he did. Be sure to take advantage of the other books on prayer by E. M. Bounds available from Olive Tree. Edward McKendree (E. M.) Bounds (1835-1913) As a young adult, Bounds was ignited by a great revival, and left his legal practice to serve the Lord, becoming an ordained Methodist Episcopal preacher. Shocked by atrocities committed against his countrymen by the invading Union Army during the Civil War, Bounds peacefully refused to sign an oath of allegiance to the Union and was sent to prison, where he continued his ministry among the inmates. Eventually released and sent away, he became a Confederate chaplain on the front lines, praying for his men within sight of them as they fought. After a full year of intense public intercession from Bounds and the surviving men of Franklin, the demoralized town experienced revival. The tireless compassion of this man, who would spend hours each day in intercessory prayer, continued to the end of his life. W. H. Hodge, who was mostly responsible for the publication of E. M. Bounds' books, developed an intimate friendship with the prayer warrior: "At last," he said, "I have found a man that really prays. I shall never let him go. He drew me to him with hooks of steel."